Start working in a team. Learn how to add and manage users here. Get started adding users to your team. Go to Manage => Users and press "Invite a user" to add your first user. The users name is used in the interface, primarily in the reports. If you add it everything will look prettier. Email is required. Inviting a user: profile information. When inviting someone to your team, you have to chose what access-rights the user will have. But don't worry, you can change this later by editing the user. An Agent can see their own dashboard and work their queues. Be careful removing this right! It will prevent the user from viewing queues and leads. A Supervisor can manipulate the state of claimed leads. This is useful for processes where a supervisor decides when a lead is won, but the agents should retain the claim. An Analyst can view reports on for the lists he or she is assigned to. A Data Manager can manage lists, leads and activities, including deleting, merging, migrating, assigning lists to users, editing comments etc. 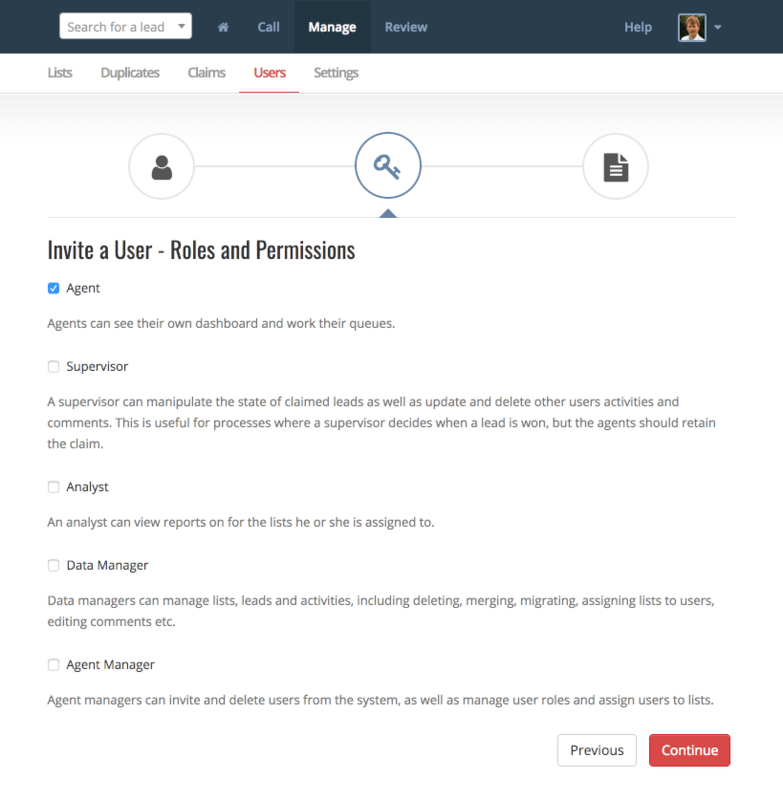 A Agent Manager can add and delete users as well as manage user roles and assign users to lists. 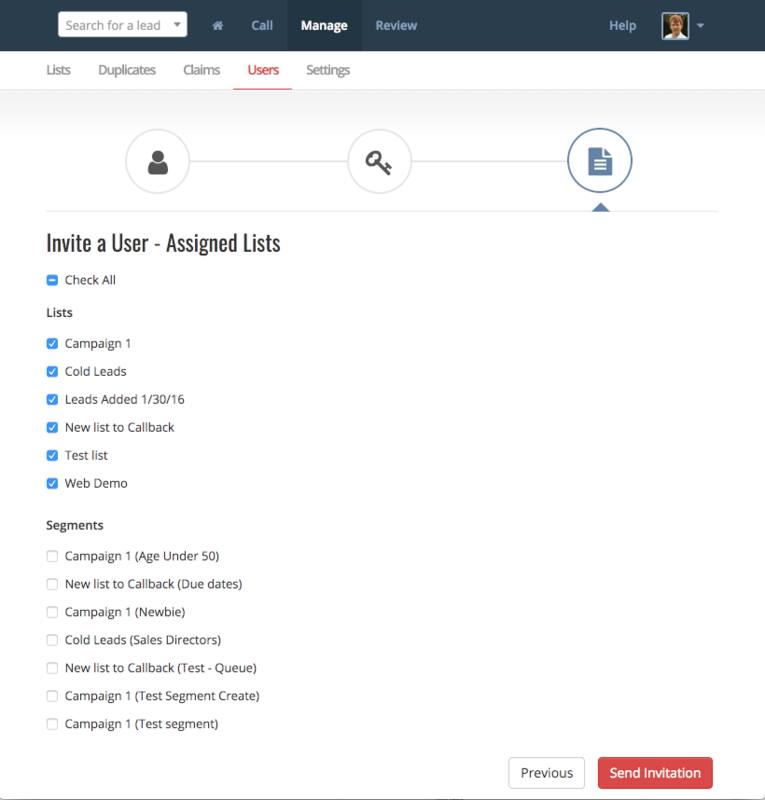 All users can work on the lists they have access to (see next section) as well as manually add leads to those lists. Giving a user admin rights in myphoner. Unchecking a list or segment will disallow the user access to that list, and hide it from his interface. Please note that the user has access to all lists by default, but no segments. 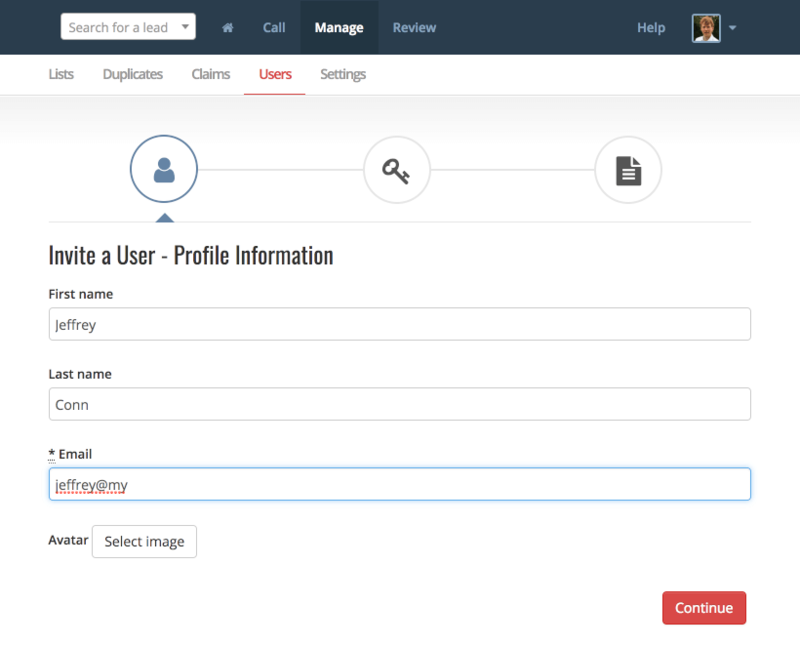 You can also manage which users are accessible for a specific list - see Configure a List for more information. Giving a user access to lists in myphoner. When hitting "Send Invitation", myphoner will send an email to the user with an invitation link. Upon clicking this link the user will get to choose a password before gaining access to the system.